Lacey is all about self-love and hard-hitting music. She enjoys a good bass drop and a good soul awakening. 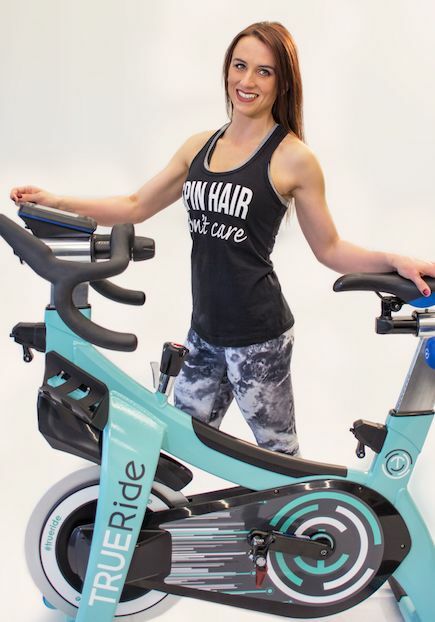 She combines those passions on the podium by building her playlists specifically for her riders with the goal of giving them more than just a workout. She gives them an experience. Her class is a sanctuary designed to allow riders to take 45 minutes out of their busy day to focus on bettering themselves. If Lacey could push and tap all day long, she would. But sometimes she has to hop off the bike to hang out with her son Brody. Even though he is only seven years old, he gets in on the TRUE Ride action by calling out “Right. Right. Right, Left, Right.” while Lacey listens to her music. Join Lacey in the saddle and get ready to feel the fire!.